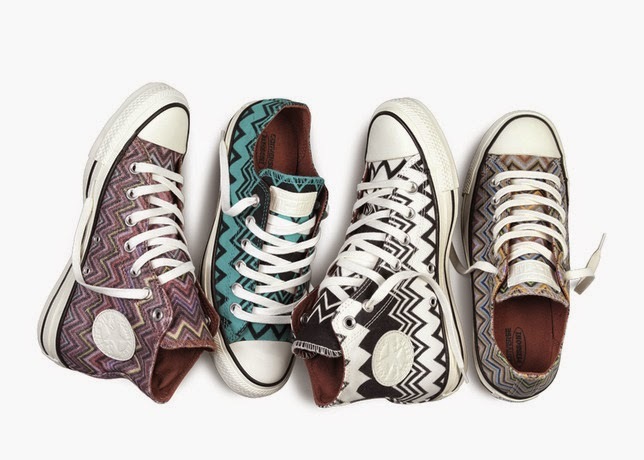 Converse Chuck Taylor All Star Missoni Fall 2014 collection was just announced today, continuing a partnership that started back in 2010. The new collection will be available for both men and women and launches exclusively at Nordstrom on August 4, with the rest of the collection available at converse stores and online starting Aug. 28. The shoes will range in price from $85-100 and feature Missoni's signature zigzag designs in a variety of colors.